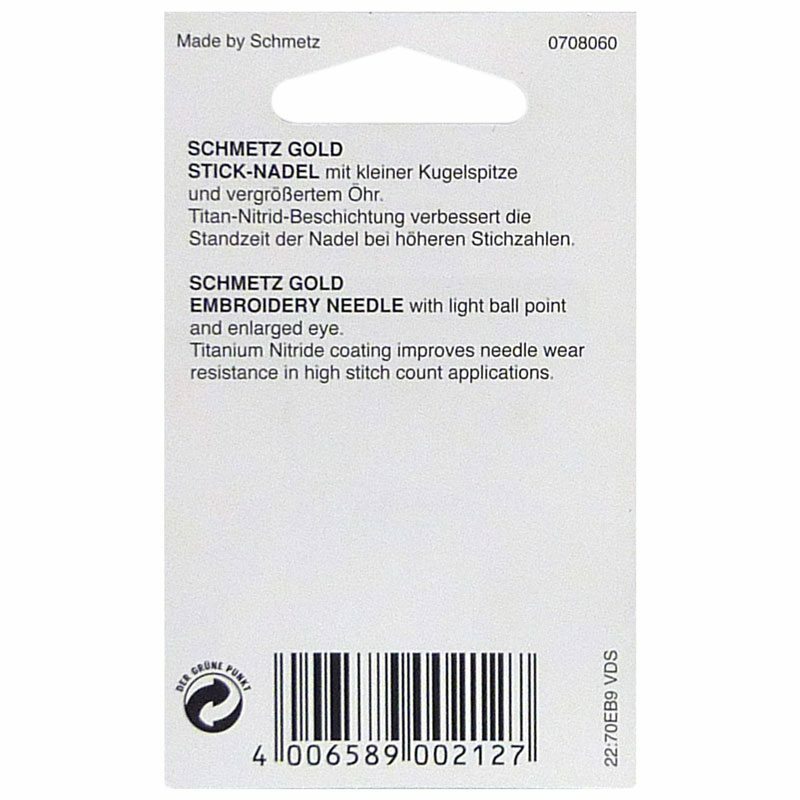 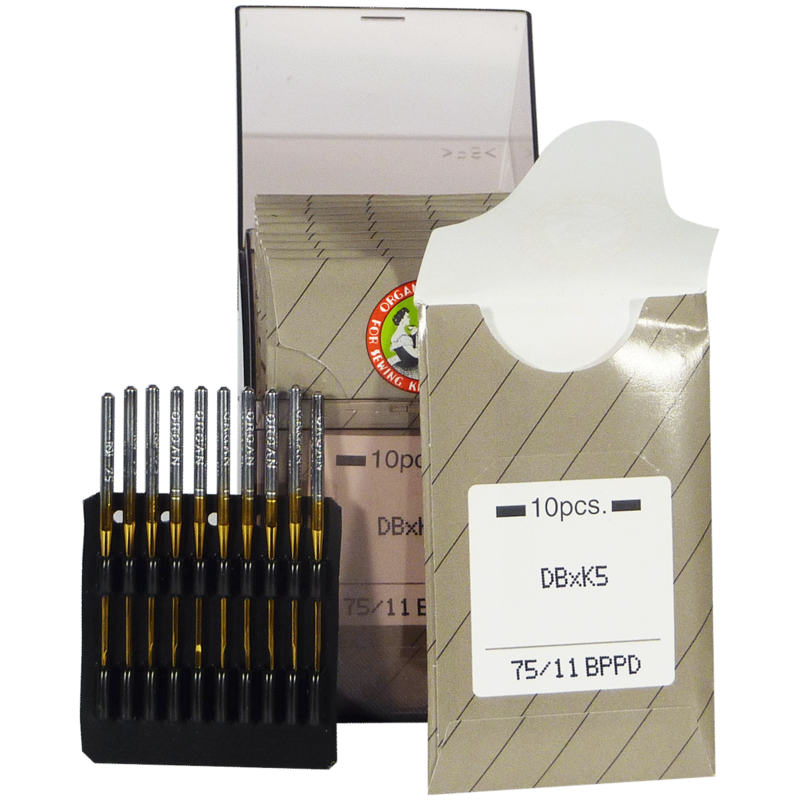 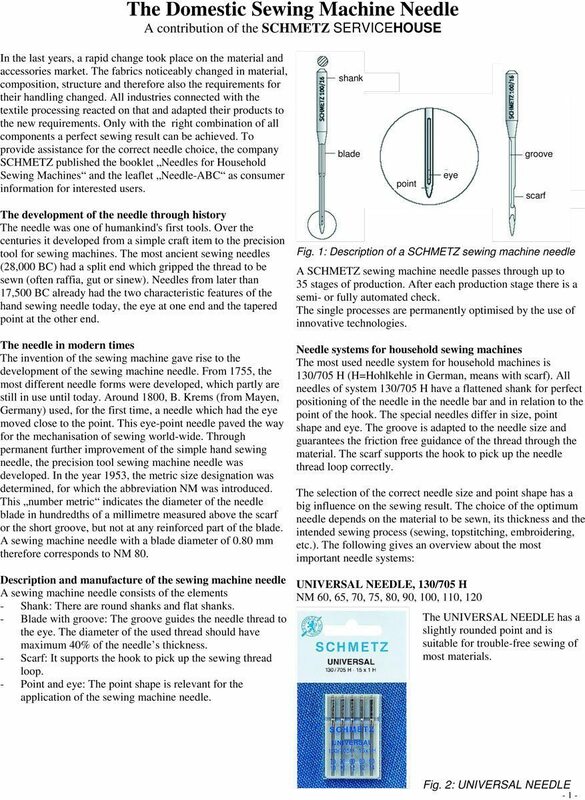 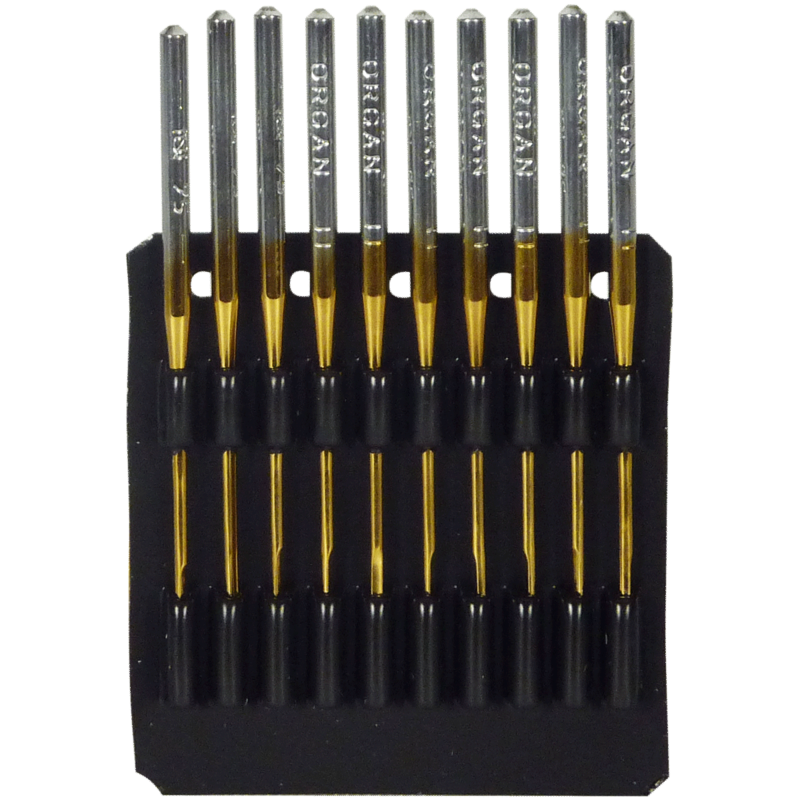 Schmetz Embroidery Gold Titanium Embroidery needles have a unique Titanium Nitride ceramic outer coating that resits wear and stays sharp and usable up to five times longer than traditional embroidery needles. 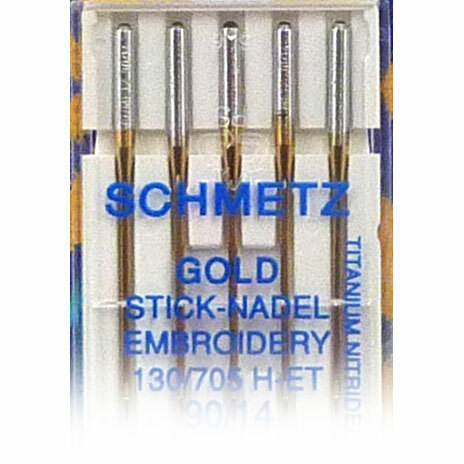 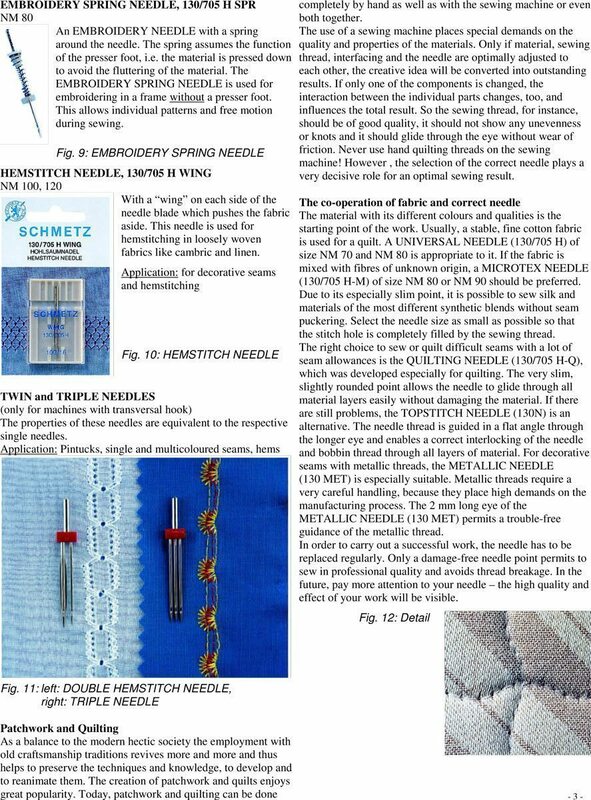 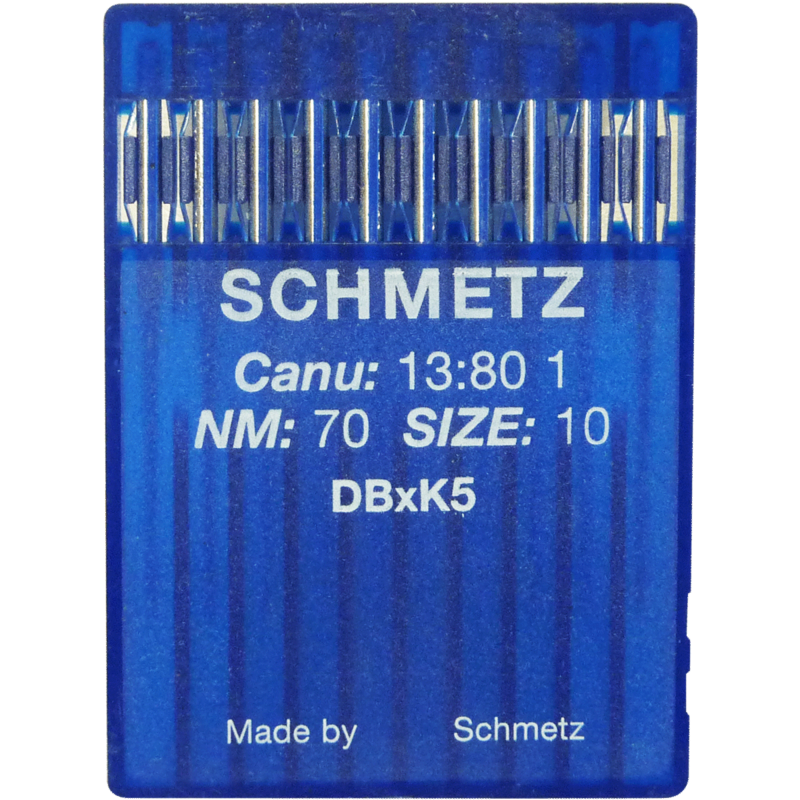 Schmetz Embroidery Gold Titanium Embroidery needles also offer a sharp point and a specially designed eye and scarf to minimize thread abrasion during the embroidery process, virtually eliminating thread strip-back and breakage. 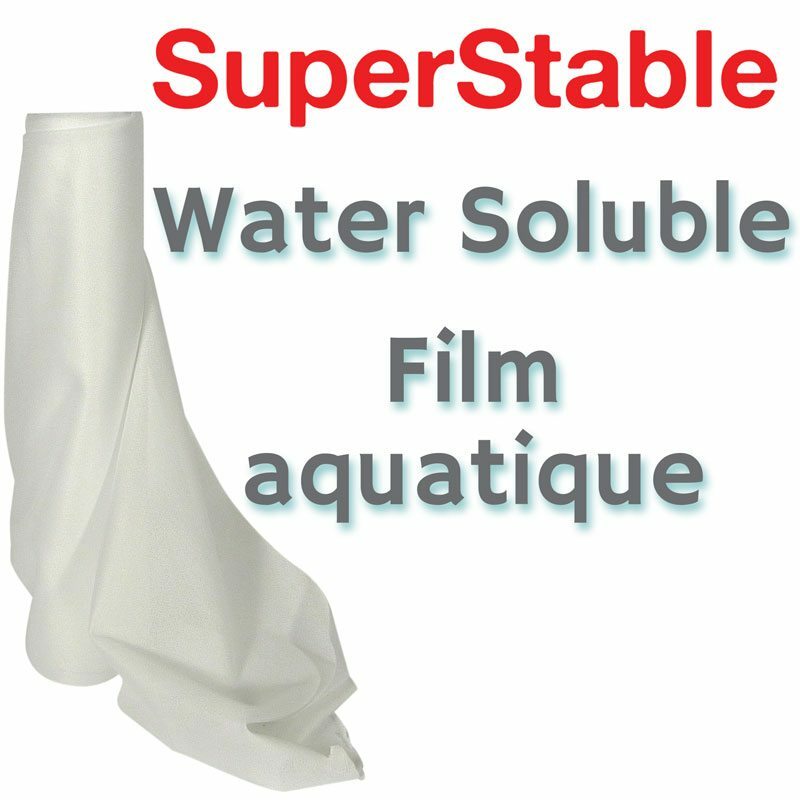 Available in sizes 75 & 90. 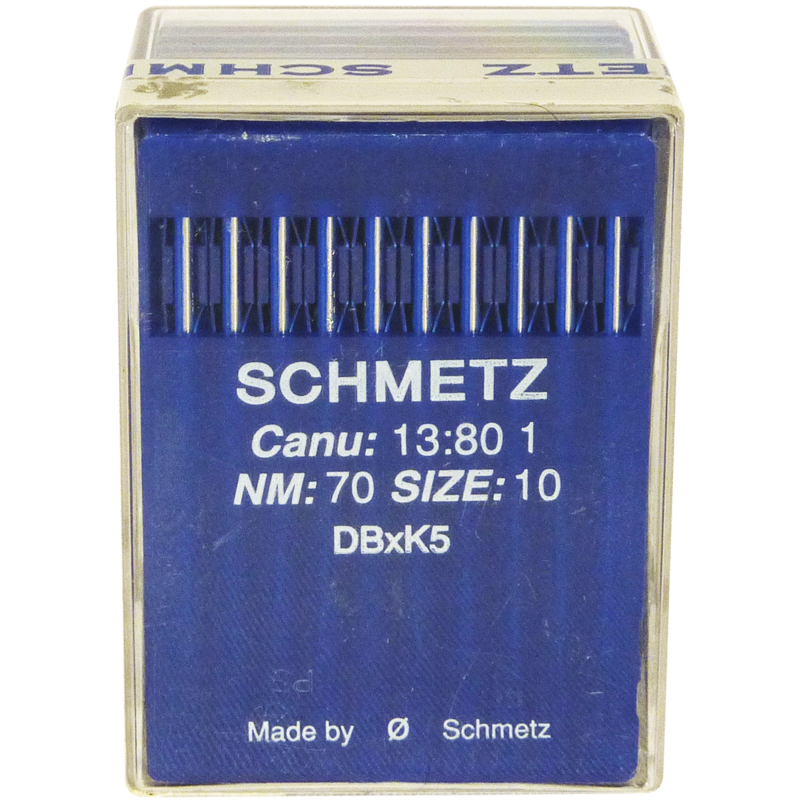 System 130/705 H-ET: With slightly rounded point and enlarged eye. 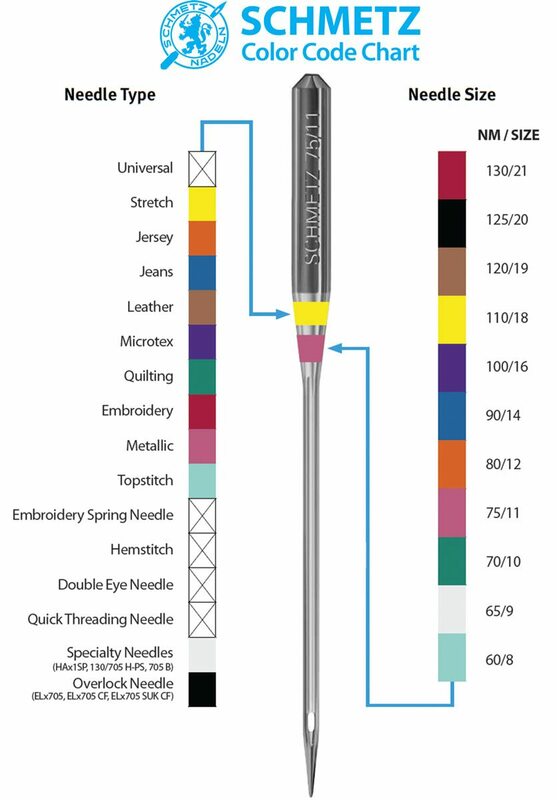 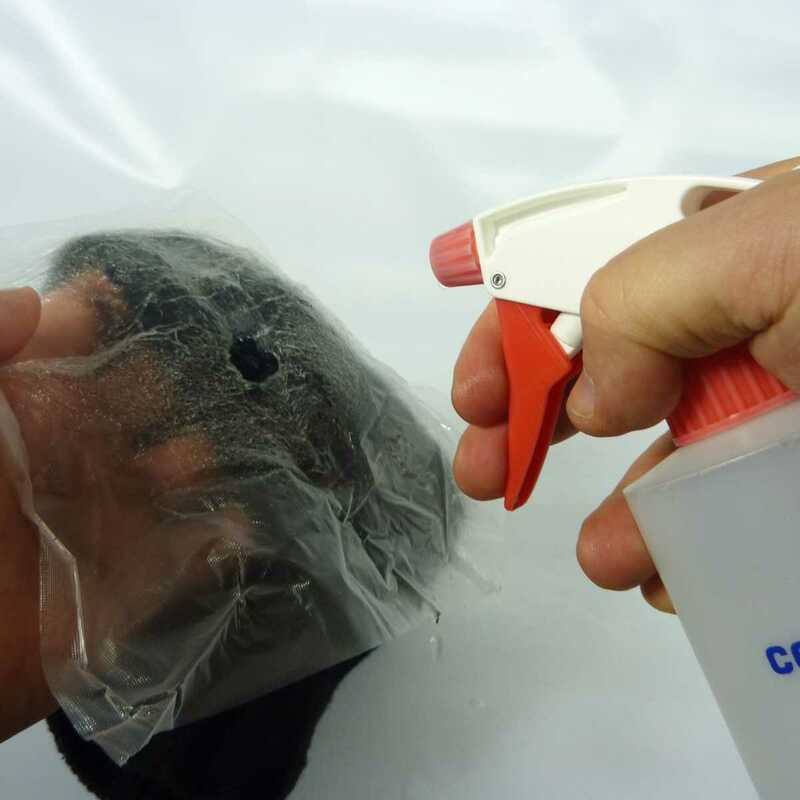 Titanium Nitride coating improves needle wear resistance in high stitch count applications and reduces needle clogging. 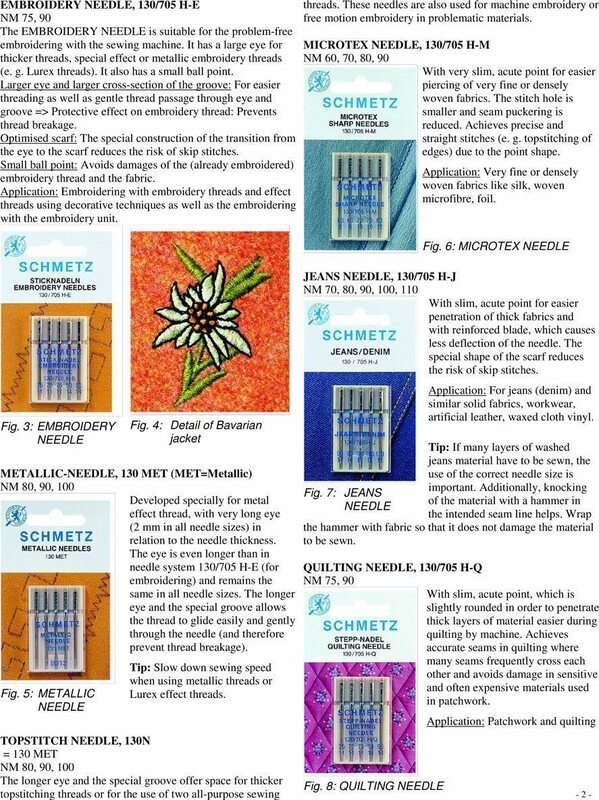 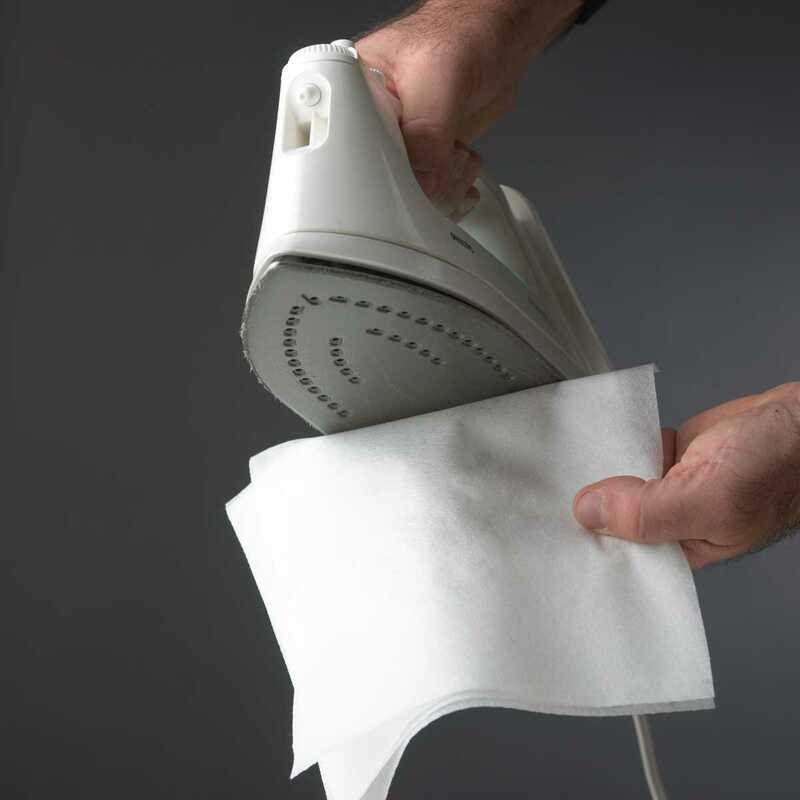 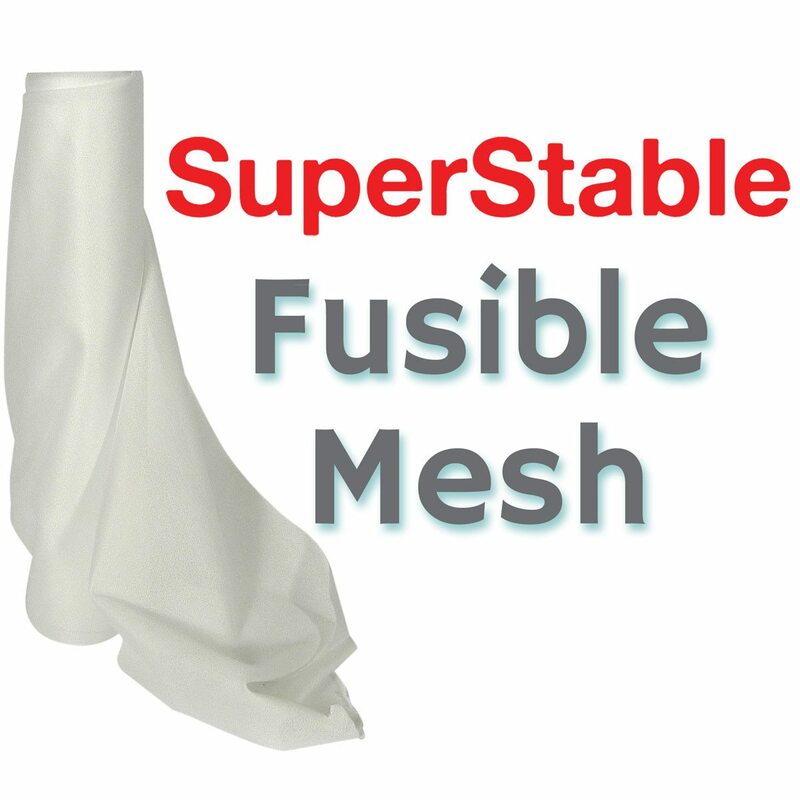 For embroidery and coarse and densely woven materials.